Scanlans has expanded its property management operations in West Yorkshire with a contract for a block of luxury apartments in north Leeds. 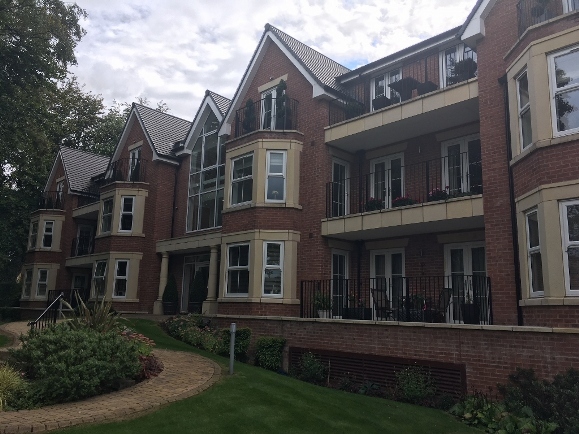 The firm has been appointed by Sandmoorgate Man Co to manage a block of six three-bedroomed flats on Sandmoor Avenue, Alwoodley. Sandmoor Gate was built by Amberstone Developments for Bramall Properties in 2015 and features electrically-controlled gates and underground parking. Each flat has en-suite bedrooms and a balcony. Michael Willans, senior property manager at Scanlans’ Leeds office, said: “This is a prominent residential apartment block and our appointment enables us to provide our property management services in one of the most affluent and prestigious areas of West Yorkshire. “As with every new instruction, we will carry out a full review of the development’s assets, ensuring that appropriate and cost-efficient maintenance contracts are put in place. “In addition, we will review all of the communal areas, including the grounds, and will report back to the client with costings regarding any recommended works. Scanlans has stepped up its Leeds operations in the past year with a move from Horsforth to Thorpe Park and the appointment of Michael in the spring. The firm is looking to add further staff and to expand the range of services offered by its Leeds team, including building surveying. Alongside property management, its Leeds office currently provides commercial and residential property valuations and surveys, and LPA Receivership services.